So here’s another bogus binary offer I’ll be reviewing from the house of scam central. It’s very plain to see that the creators of this offer don’t understand how to present a new system. While the actual software appears to be legit as well as easy to use, the introduction video is conducted more like a sales pitch as opposed to a serious product. First off, I’d really like to say that there are so many systems out there offering insanely high payouts and easy ways to profit and make money, that sometimes it’s terribly difficult to weed out the chaff. In fact, the legitimate systems suffer severely due to all the scams that are being offered today to anyone who can afford a $250 initial deposit fee in order to fund a trading account. Now, A few words about Victor Sperandeo (AKA Trader Vic). This guy doesn’t need anyone’s tools or systems, he invented his own and has been a successful trader and guru since the 80’s. Unless he invented this tool, something I highly doubt since he is not promoting it anywhere. He even wrote books on professional speculation and Wall Street trading methods. The guy is a walking legend and is a fully fledged member of the pantheon of the ultra rich self-made fat cats. I mean the guy is practically so rich he can buy a small country if he wanted to. Now, this is the guy they say is using their system to trade binary options and deposit funds with their recommended brokers. One would have to be completely clueless or naive about how today’s more advanced systems operate. Most of the trades these days are executed via high frequency trading techniques and rarely have anything to do with binary options trading. This field is dominated by advanced mathematics, quantitative finance, a-linear algebra, theoretical physics, statistics, and computer science. The people who control trading today are exceptional individuals called quants (quantitative analysts) like Paul Wilmott . Anyone telling you something different is either clueless or has a hidden agenda. Now getting back to the Master Snipers System. In all honesty, its extremely difficult to make significant amounts of money with such a small initial investment amount and if you really want to make the big amounts you need to change the way you think, act, and present yourself towards the people around you. If you want some tips about how to get started feel free to contact me directly by leaving a comment at the bottom of the post. Now, moving forward the video claims that the system can make you between $4,000 – $4,500 a day. So let’s do some simple math, if you do a minimum trade of $25 you would have to make 160 successful trades according to $4,000/25. Now let’s say that not all trades will be ITM (in the money), so instead of winning you will in fact be losing your initial capital and giving it away to the brokerage. So the main point is that, $250 is not enough to make 4K because you will have a capital (bankroll) issue and will have to do one of two things: The first option is to re-invest (that is what the broker will tell you to do). The second option is to cut your losses and move on, which is probably the smarter choice of the two options listed above. 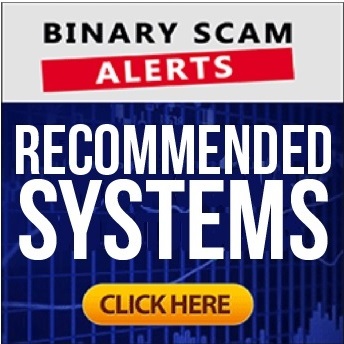 So here’s the verdict, the Master Snipers Trading system is most likely a scam perpetuated by less than savvy marketers trying to get you to register and fund a BigOption trading account. If you are looking for a serious system or honest broker simply refer to the relevant section of my blog and subscribe to our email alerts service. Don’t forget to share your thoughts below.